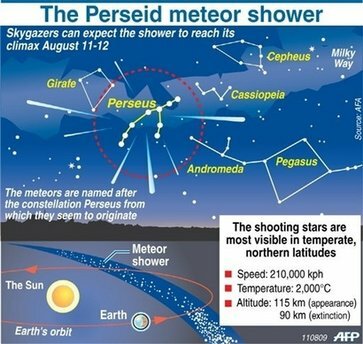 The Perseid Meteor Shower – Tonight! This video, created for the new Rubin Art Museum exhibit Visions of the Cosmos: From the Milky Ocean to an Evolving Universe, uses over a decade of data collected by researchers at the planetarium. 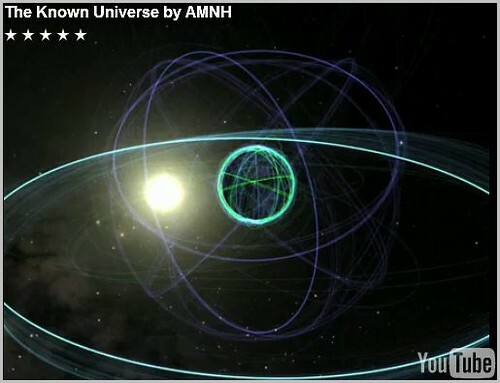 Called the Digital Universe Atlas, the data encompasses the precise location of every object ever observed in the sky. Quasars to pulsars to black holes to nebulas, it’s all there and it’s a must watch! 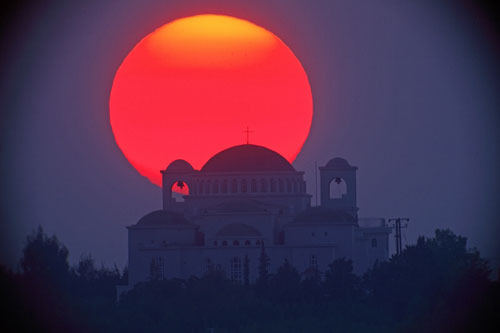 These photos were taken October 4, 2009 by Anthony Ayiomamitis as the sun set over a church in Oropos, Greece. 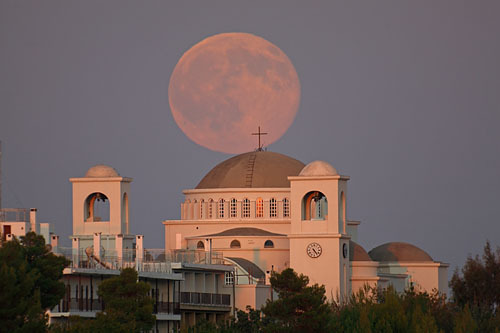 The same evening would be the Harvest Moon from the opposite direction. 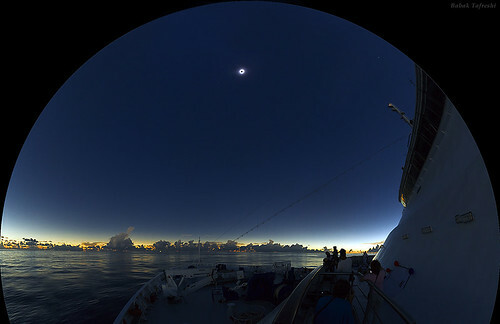 Tonight (Tuesday 8/11/2009), from any vantage point in the world, you might see more than 80 meteors an hour streak across the sky during the best viewing time, when the moon’s glare will be weakest—late night and into the wee hours of Wednesday, local cloud and lighting conditions permitting. 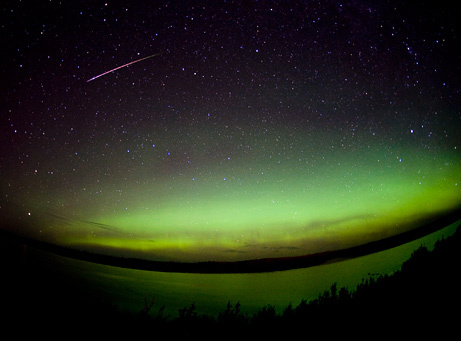 Filed under: Astronomy | Comments Off on The Perseid Meteor Shower – Tonight! NASA also put together this awesome audio experience of the entire Apollo 11 mission… in observance of the 40th anniversary of the first human landing on the moon, audio from the entire Apollo 11 mission will be replayed and streamed on the Internet at exactly the same time and date it was broadcast in 1969. The audio retrospective will begin at launch minus two hours, 7:32 a.m. EDT July 16, 2009 and continue through splashdown of the mission at 12:51 p.m. July 24, 2009 and the recovery of the crew shortly afterward. NASA compiled a set of audio highlights of the Apollo 11 mission here. There is also an audio database of the mission in MP3 format here. 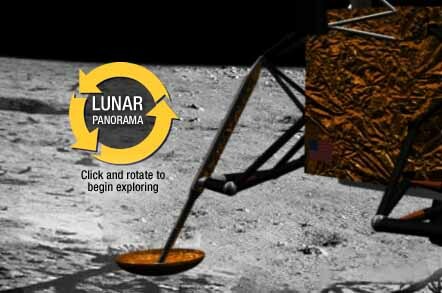 Check out Google Moon – a Lunar walk through using clickable charts and maps of the different Apollo voyages. Way to go Google! Sixty Symbols is a collection of videos about physics and astronomy presented by experts from The University of Nottingham. Choose a symbol and see a video about it. Take this test. 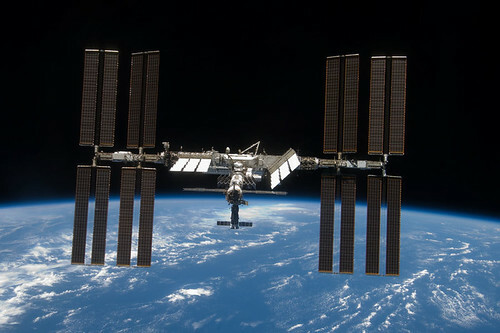 Its a cool test of your general knowledge of Space and Science. It can’t hurt to learn more about the universe, the planets, energy, matter and similar fun stuff. The Very Large Array consists of 27 radio antennas, each weighing 230 tons and reaching 82 feet in diameter. The array, in the desert south of Socorro, New Mexico, combines to give the resolution of a 22-mile-wide antenna to aid scientists in the search for frequencies of molecules in interstellar space. 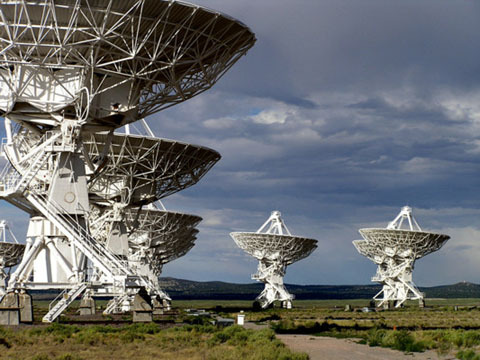 Scenes from the movie Contact were shot at the VLA site. I thought Contact (written by Carl Sagan) was a cool movie, but nothing compared to the PBS series “Cosmos” that Carl Sagan put together to vividly explain the universe and all of its wonder. Thought this was cool too: The melodic use of the notes C#, D#, E, are recurring audio punctuations in Carl Sagan’s ‘Cosmos’, and also are used in key scenes of ‘Contact’. Notably when Dr. Arroway touches the then invisible interior of the space pod. Check out this animation of the planned construction of the next generation centimeter-wavelength radio telescope that is expected to be built by 2020. 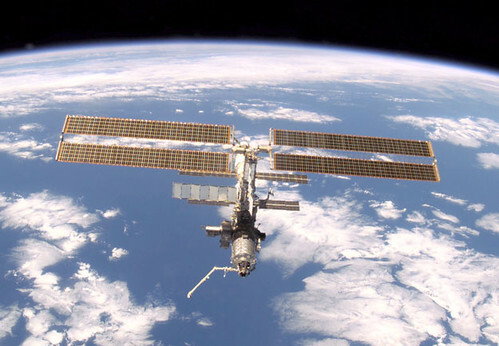 Check out the changes in the International Space Station over the last seven years. Its become quite a space junk target. 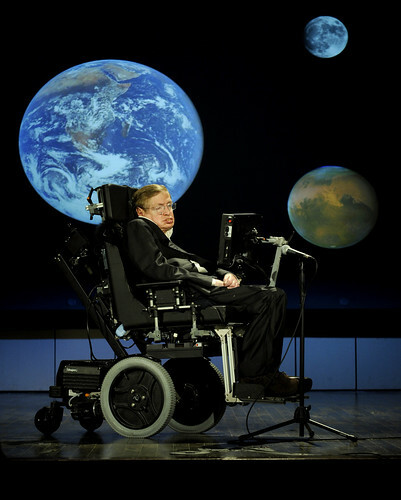 Below, I had to throw in the cool picture of Stephen Hawking giving a lecture. If you’re unfamiliar with Google Earth, here is a good reason to download and get into it. Not only can you take virtual 3D trips around planet Earth, but you can also tour Mars in the new 5.0 version of Google Earth. Check out this video! WordPress platform, RSS tech , RSS comments.